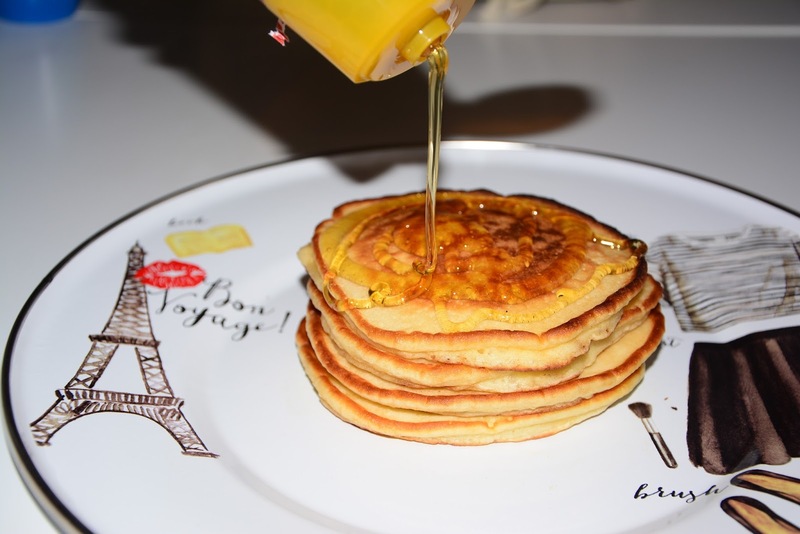 The Paris Feast: Pancakes: the American style. 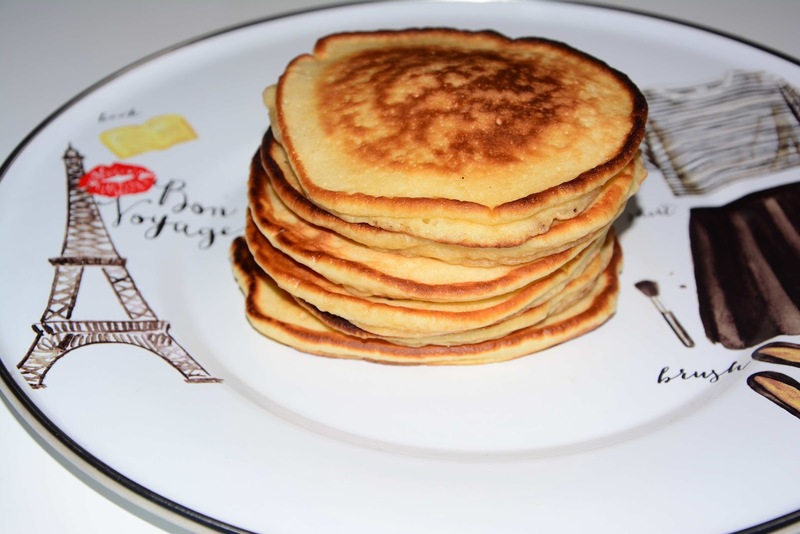 Pancakes are simple, easy to make yet delicious and goes well with a hot cup of tea or coffee. 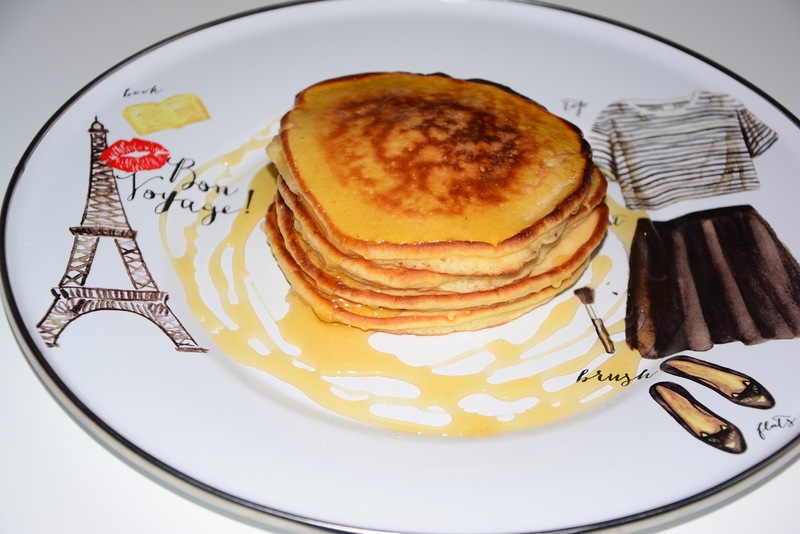 Though it is not a preferred way to start the day in France but I tried to bring a bit of an American flavor into my kitchen, but keeping the French spirit going, I served it in my new Eiffel-robe-jupe-talon-bouquin-bisous plate. 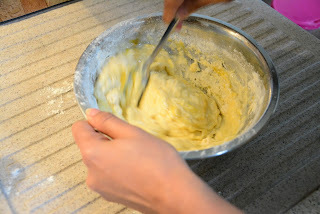 So here is the recipe. 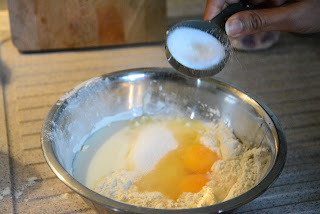 Place the flour, baking powder and salt in a bowl. Make a well in the middle and add the milk and eggs. Now add the sugar to the bowl. 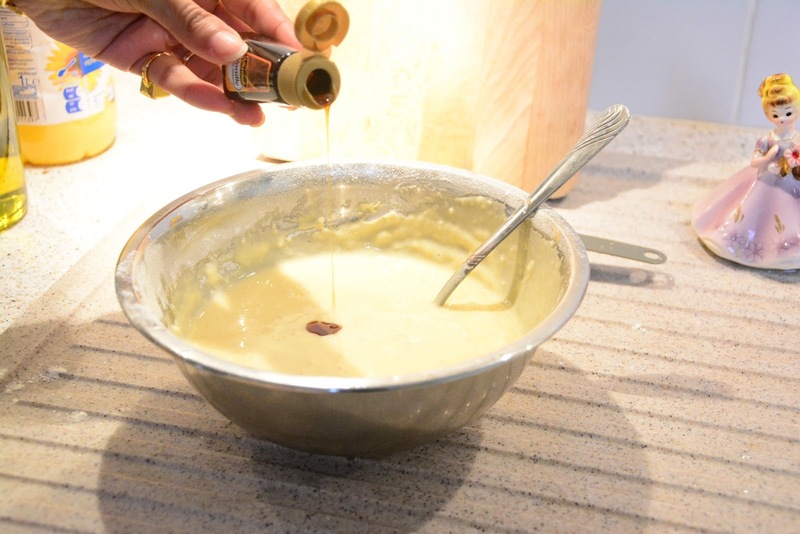 Mix the ingredients of the bowl into a smooth batter. 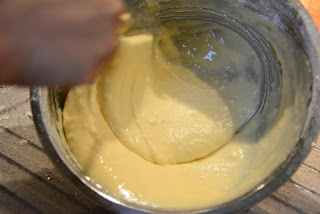 The batter should have a thick but pourable consistency. 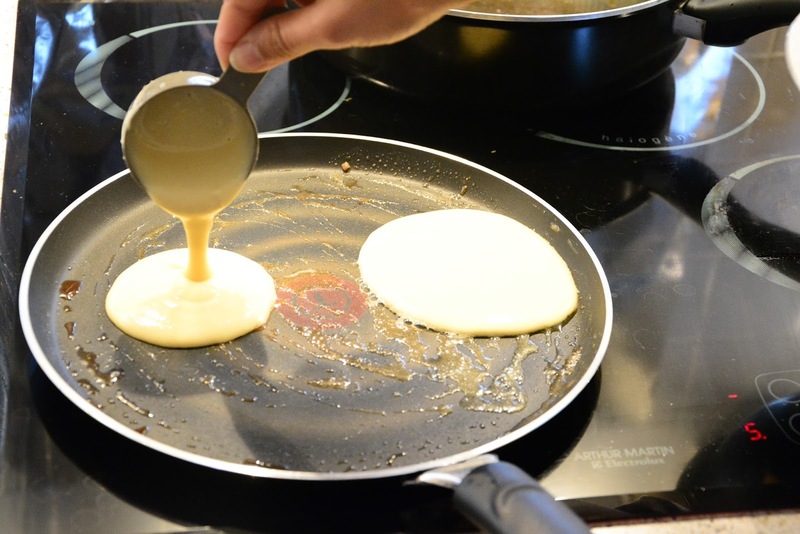 Place a non-stick pan on the glass-ceramic stove (or any other kitchen stove). Add a small cube of butter. When it has melted pour the batter with the help of a measuring cup. 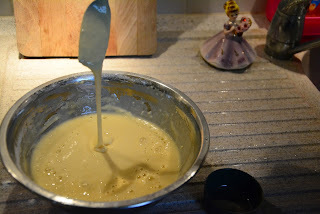 I used the the 1/4 cup size (60 ml) for pouring the batter. 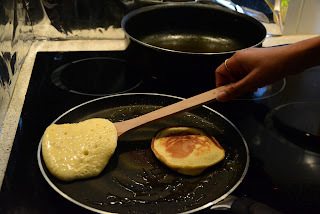 When small little holes/ pores appear on the top surface it's time to change the side. 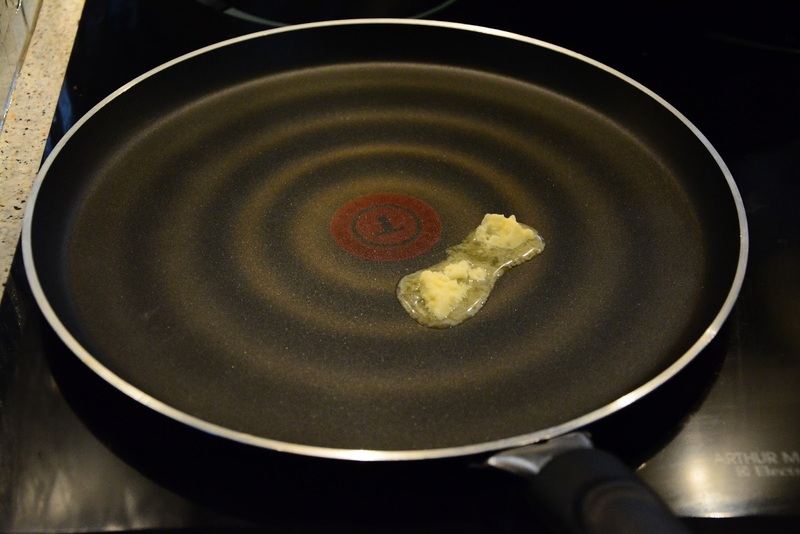 Remove it from the pan and stack it on one top of the other in a plate. Pour some honey or maple syrup on top and serve it. 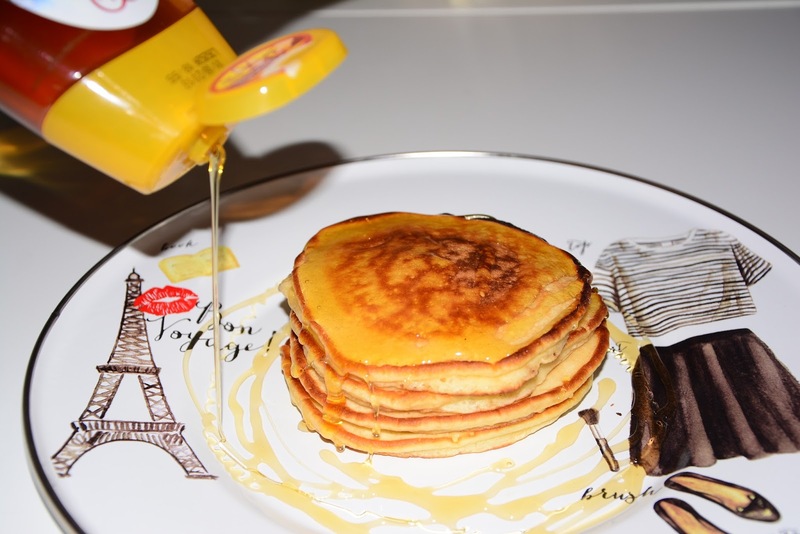 I personally prefer honey. Your perfect but easy to make breakfast is ready. 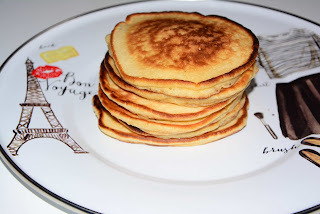 Pancakes are simple, easy to make yet delicious and goes well with a hot cup of tea or coffee. 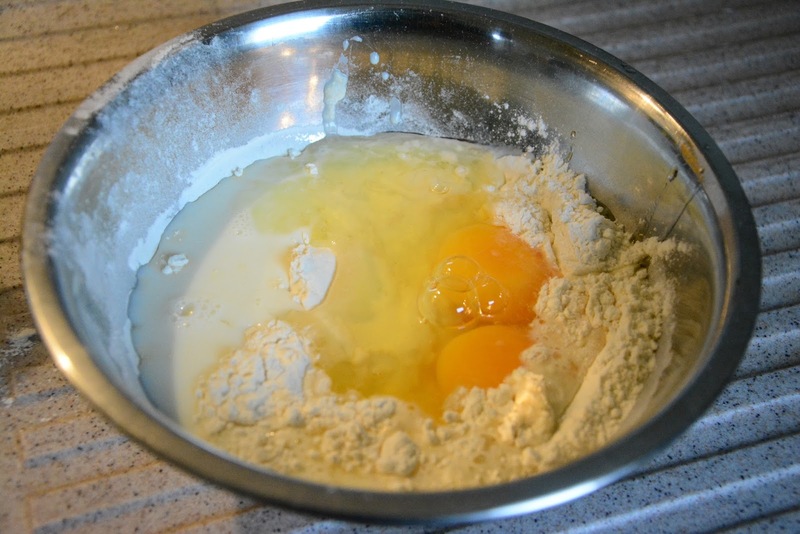 Mix the ingredients of the bowl into a smooth batter. Make sure there are no lumps in the batter. 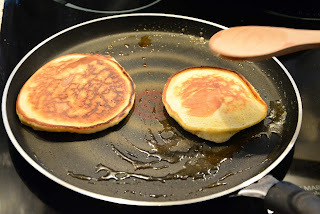 Remove it from the pan and stack it on one top of the other in a plate. Pour some honey or maple syrup on top and serve it.